We advance appreciation and understanding of visual art and culture through the exhibition, preservation, and publication of David Hockney’s work. The David Hockney Foundation—both The David Hockney Foundation (U.K.) Limited (registered Charity 1127262) and The David Hockney Foundation, Inc. (U.S.A., a 501(c)(3) private operating foundation)—was established by the artist in 2008 with the goal of advancing appreciation and understanding of visual art and culture. The Foundation owns more than 8,000 works of art by David Hockney. The collection holds the editioned works (lithographs, etchings, screen prints, home made prints, photographic drawings, and multi-camera movies); original templates for works of art transmitted by fax; works from his earliest student days; and an array of paintings and drawings from throughout his career, including more than 40 dog paintings, the camera lucida drawings, numerous portraits of friends and family, and more than 230 self portraits in various media. 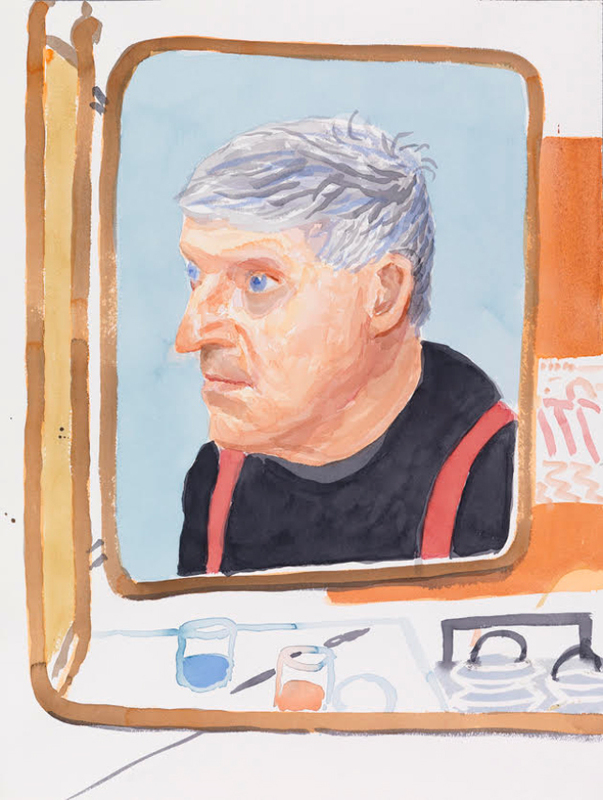 The collection’s 203 sketch books, from 1953 until Hockney’s acquisition of his first iPhone, provide an intimate view into the artist’s working process. The Foundation collection is also the repository for sketches, designs, paintings, and models related to Hockney’s work for the theater. Archival materials on the artist’s life, work, and process include personal correspondence, the papers and diaries of family members, and Hockney’s “green albums”—his photo diaries from 1961 to 1990. Each year the Foundation makes loans of hundreds of works from its collection to exhibitions around the world.